Lil Wayne in Montreal or Quebec City? Inform me about the next events for Lil Wayne. Enroll yourself to our priority waiting list for Lil Wayne to be alerted when new tickets are available. Filling this form doesn't engage you to any purchase. 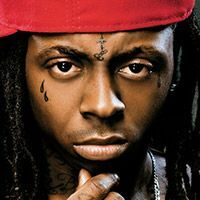 American rapper Lil Wayne will stop at the Bell Centre in Montreal August 17th, 2011 as part of his I am Still Music tour. The ninth studio album from Lil Wayne, Tha Carter IV, will be released in June. Rock Ross, Keri Hilson, Far East Movement and Lloyd will join Wayne for the concert.